Bed bug infestations in your business can end up ruining your image and reputation. No guest will think of spending a night in your hotel even if you have the best amenities if they are going to be exposed to these little nuisances. Bed bugs are small and oval shaped and are in shades of red and brown color. Their size makes it easy for them to hide in crevices and cracks, giving you a hard time noticing them and eradicating them for that matter. They love sucking blood and their beak shaped mouths with two tubes work to their advantage. One tube is for sucking blood while the other is for injecting anesthetic that prevents blood from clotting. Once they are gorged on blood, they swell and their color turns to dull red or purple. The worst thing about bed bugs is that they reproduce and breed rapidly. The females can lay a total of 12 eggs every single day and they hatch in two weeks. 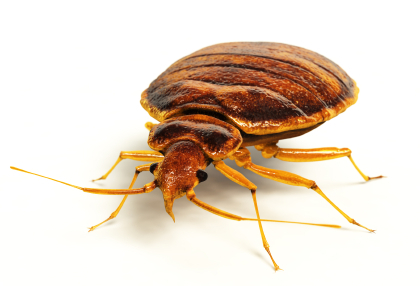 This means that if you take too long to notice bed bug infestations, your commercial property will have hundreds of these little creatures giving your guests a hard time enjoying their nights. Bed bug nymphs are translucent and leave itchy red blotches. Availability of food and good temperatures will have an infant reach maturity in 21 days. Considering that a bed bug can survive on one meal for almost a year and lay 500 eggs, you know you face more trouble unless you can control the infestation. When choosing commercial bed bug control services, remember to consider the most important aspects to enjoy excellent results that will keep your image protected and take your business higher. The company should have the right tools and know the best products to deal with the pest fast and effective. It should also respond faster to your needs to save your business from bed bugs. Toro has the tools as well as the knowledge that is necessary to exterminate the bugs from your premises. We value you and we will get onto your case as soon as you get in touch with us. Bed bug control cost can be determined by several factors, including the extent of infestation and the techniques and products that are best for complete eradication. You can, however expect competitive prices with our excellent control services. We will also offer protection services and advice to help you keep your business free from infestations. We are the best bed bug control company you can choose. TORO Pest Management is your commercial bed bug control expert! If you want to have a bed bug free establishment, the services of TORO Pest Management are indispensable. Bed bugs are difficult to find and even harder to eliminate. Speak with one of our commercial bed bug control specialists to learn how we can keep your business bed bug free.